Related to the pineapple plant, perhaps because of its sweetness, this gorgeous beauty adds red and tropical greenery to any room. Plants are subject to seasonal and regional availability. 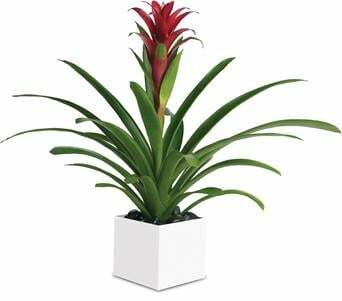 In the event that the requested plant is unavailable, the florist will substitute with a similar plant in the same shape, style and colour. Plant size, packaging and container may vary.